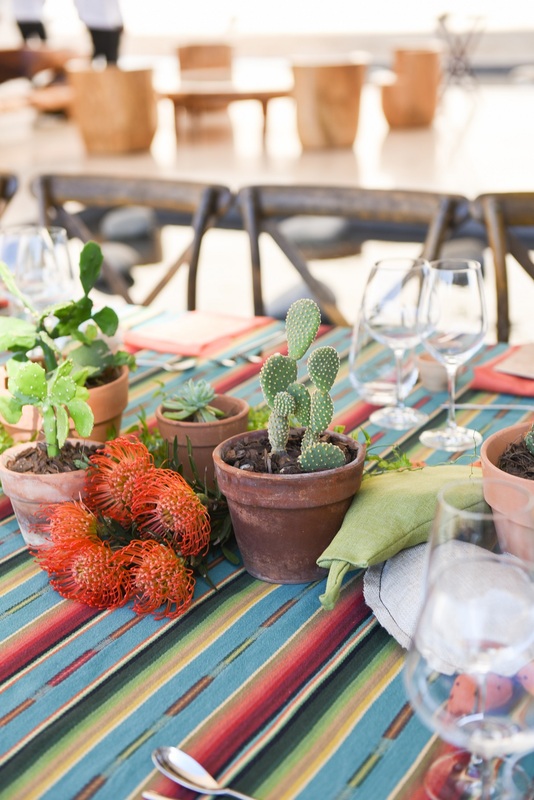 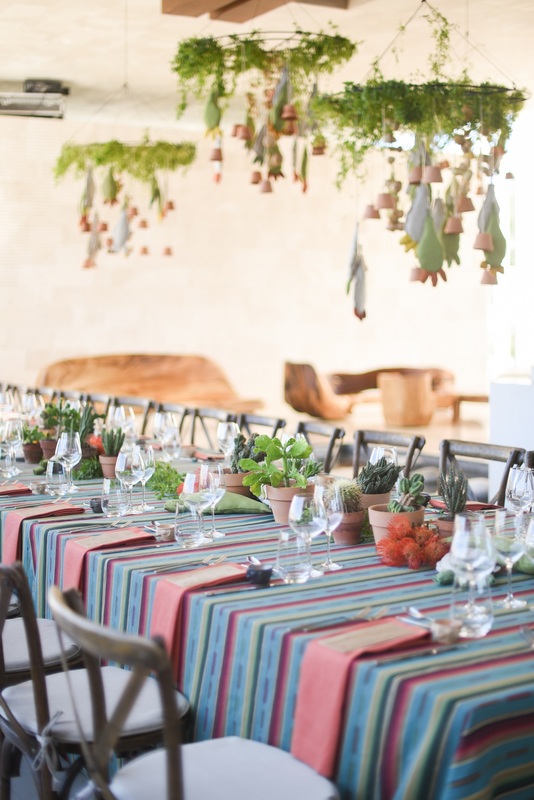 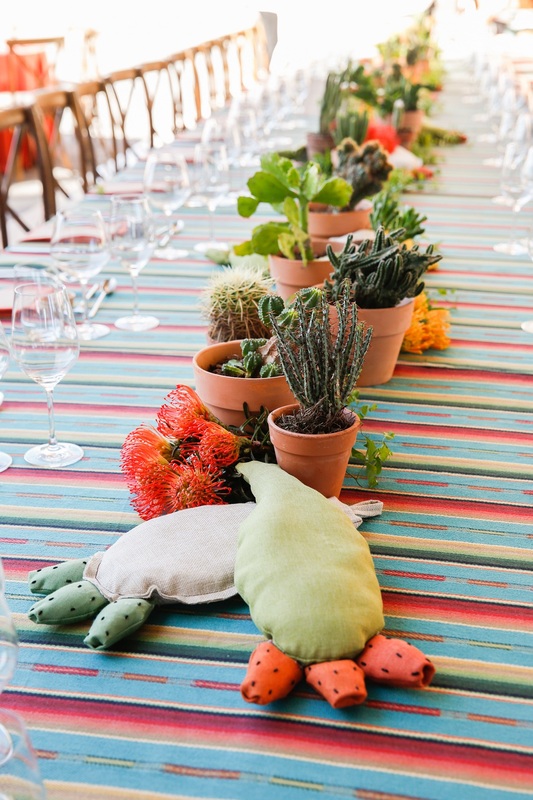 A Cabo-inspired outdoor luncheon we designed in the lobby at Solaz Los Cabos Resort, using locally-grown succulents as the design focus. 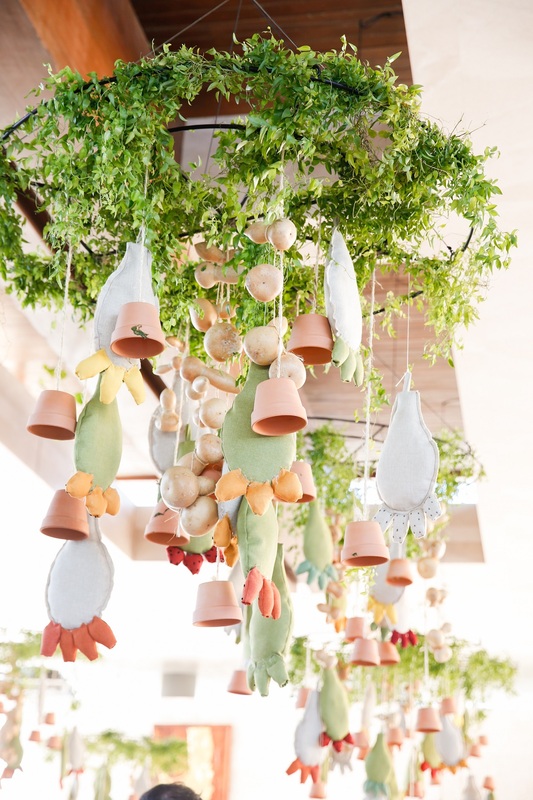 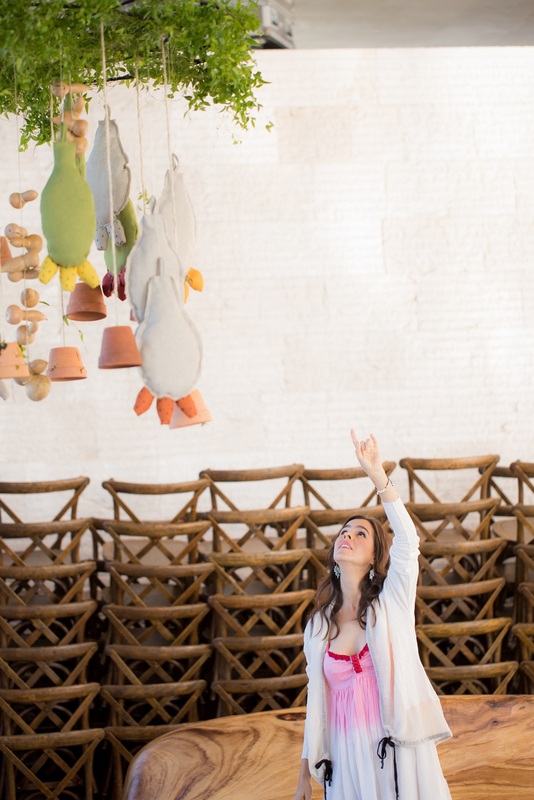 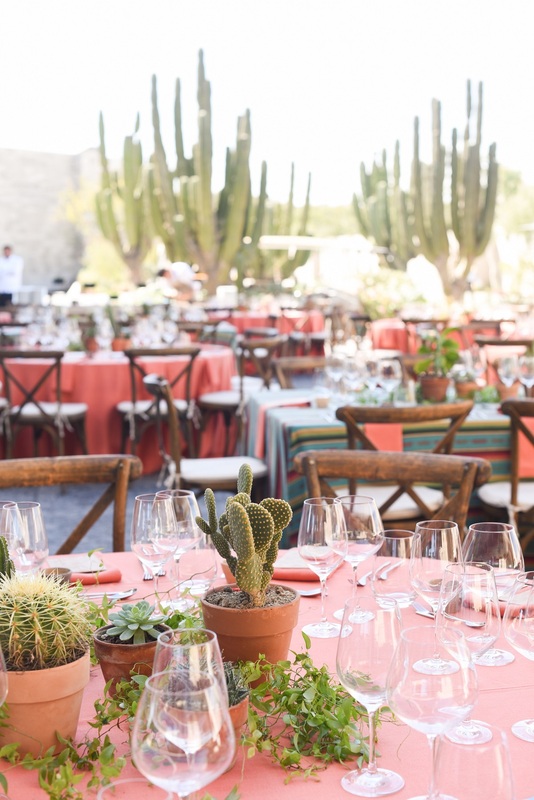 It was a real dose of the relaxed Mexican style with a modern design upgrade, as shown in our use of custom-crafted “stuffed succulents” hanging from artistic “chandeliers” Elena designed (with terra cotta pots, gourds, and local vines) and also incorporated into the tablescapes. 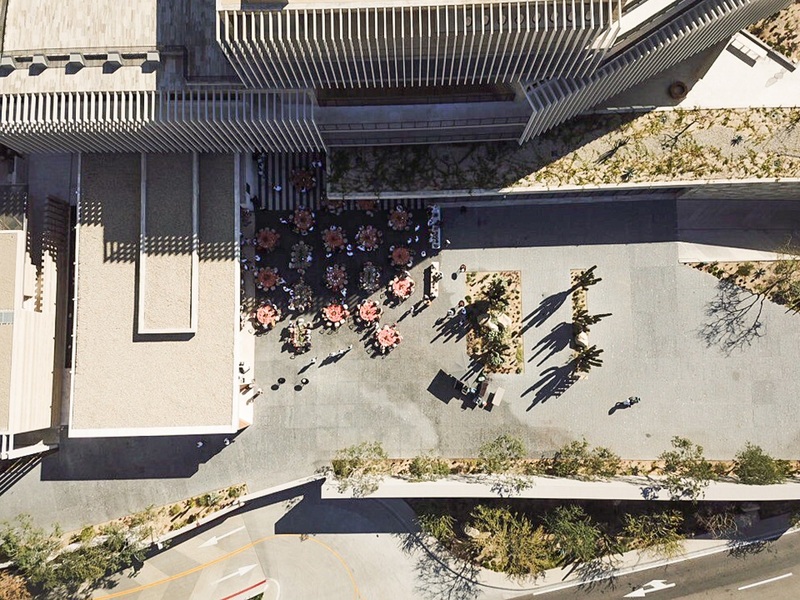 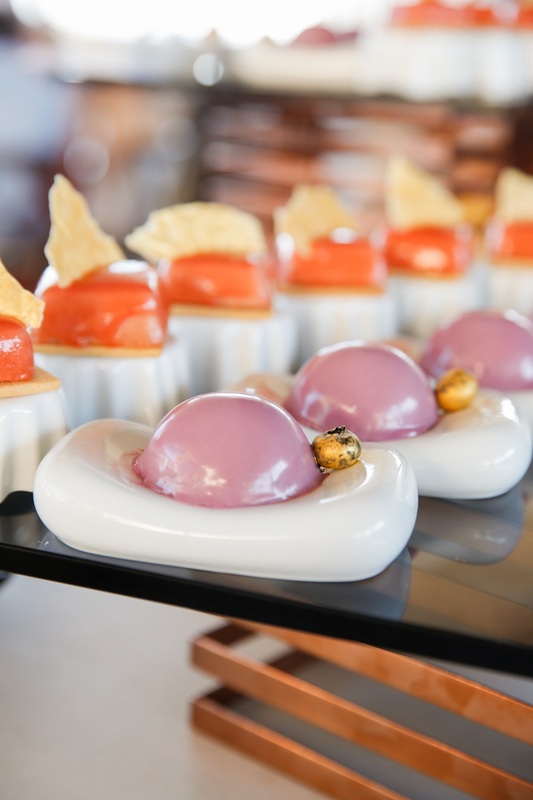 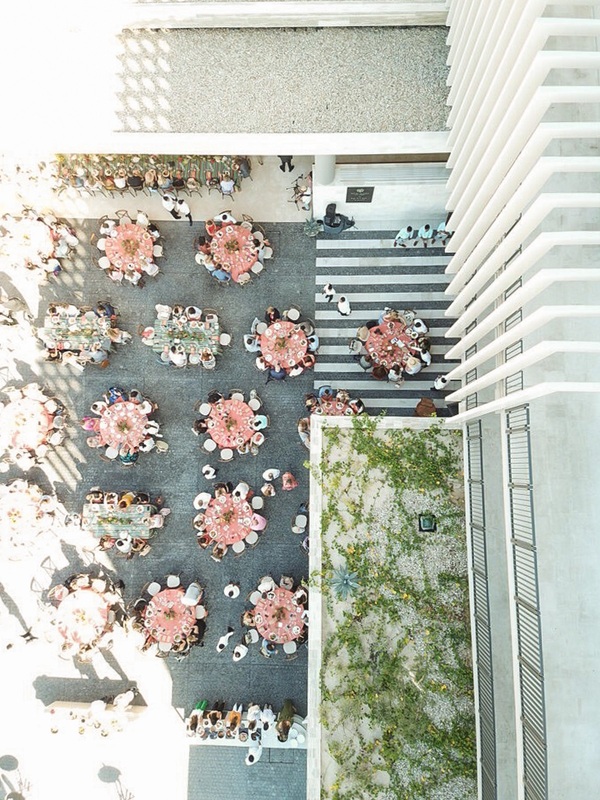 Having lunch in the lobby at this incredible resort, an architectural dream for many of us art lovers, encouraged easy conversation and friendly camaraderie. 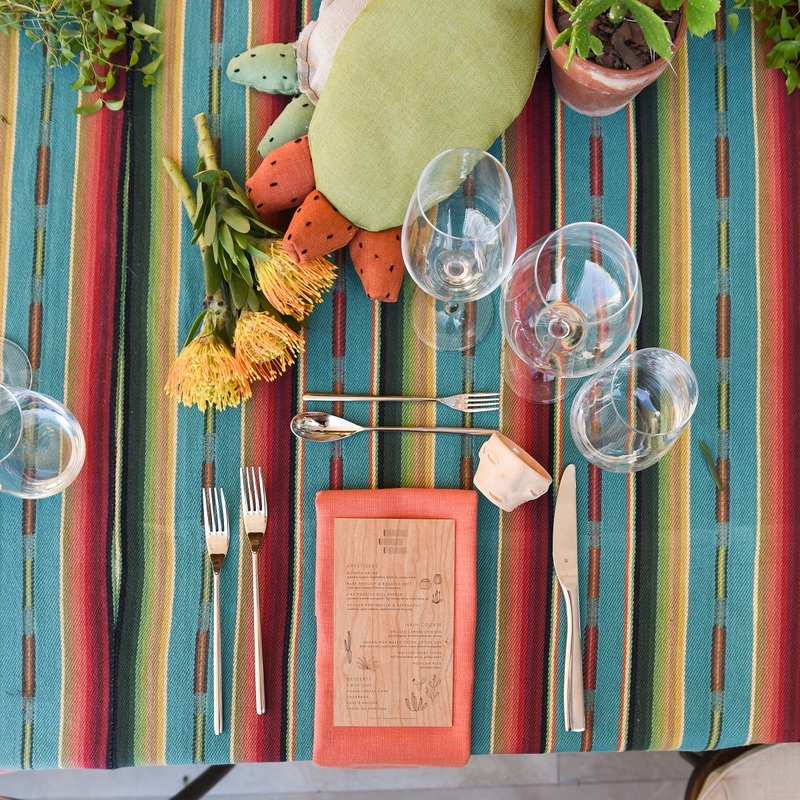 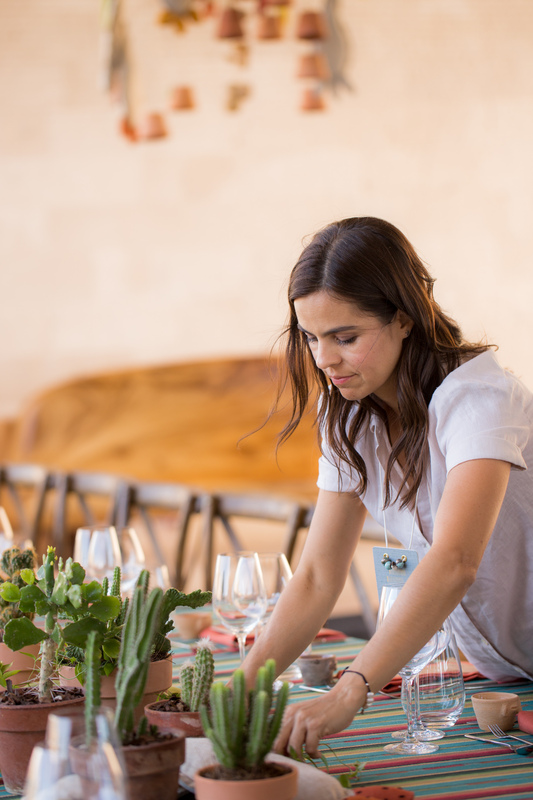 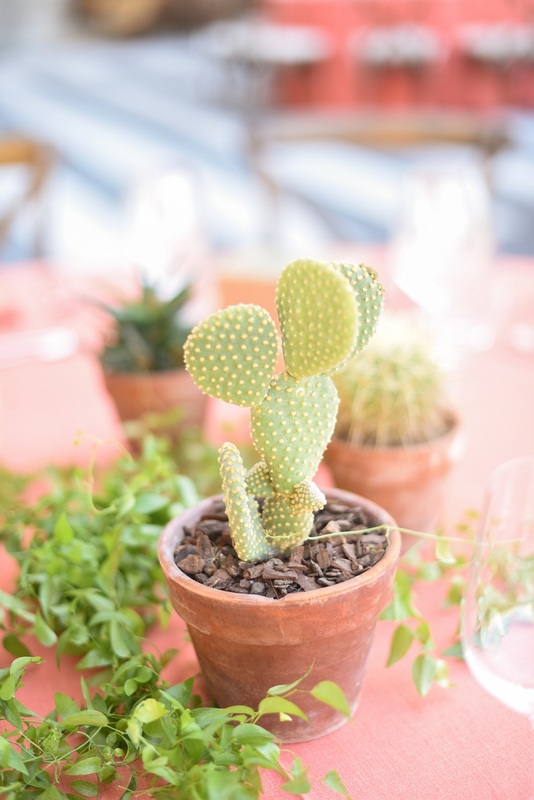 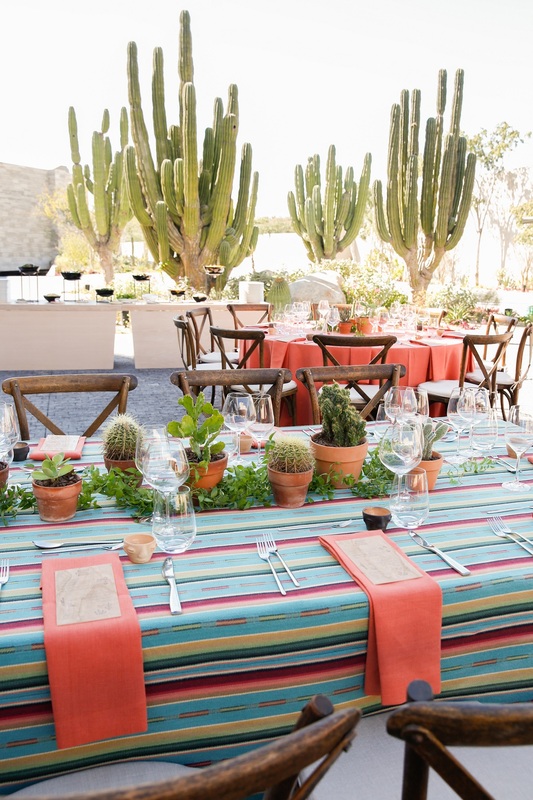 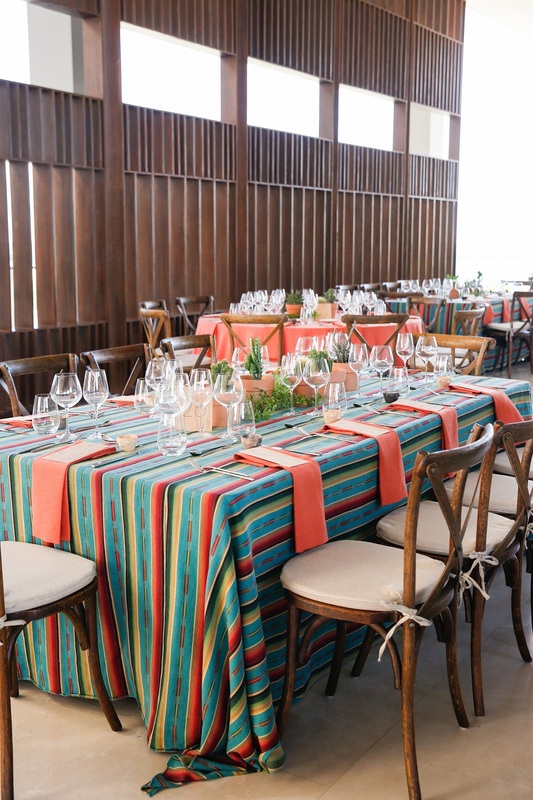 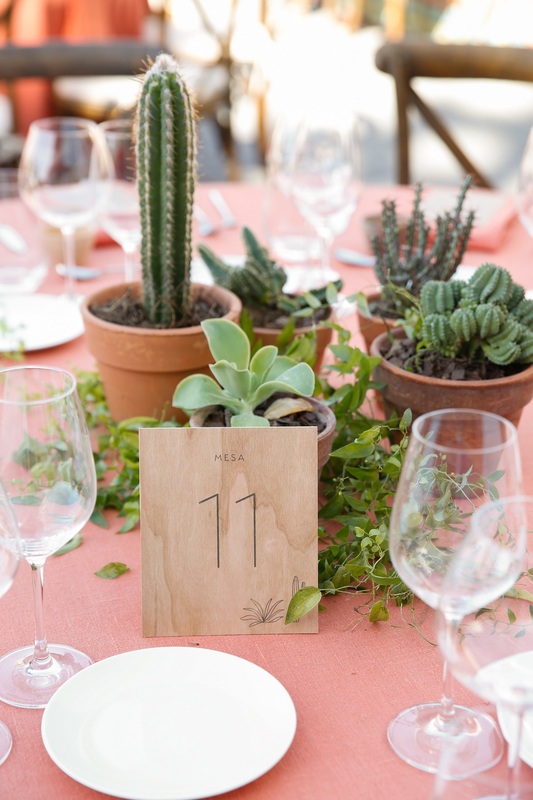 Even the textured burnt orange, sage green, and aqua blue fabrics used on the tables brought our laid-back Baja lifestyle to light! 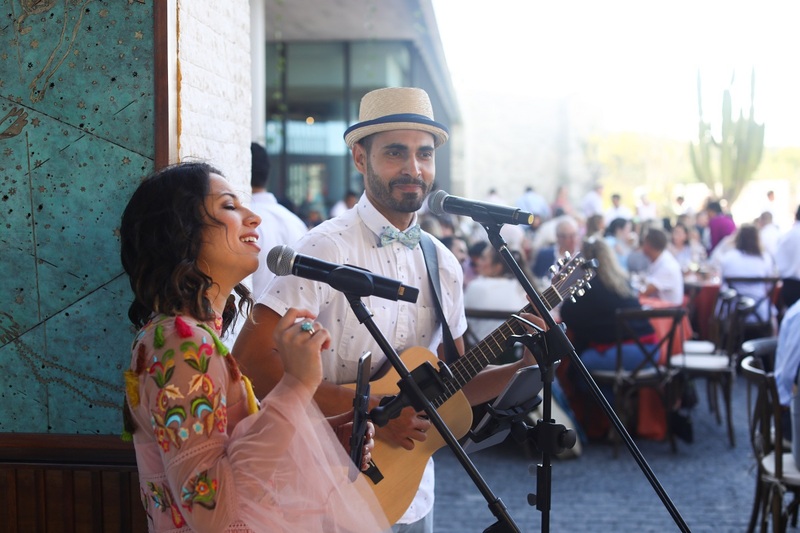 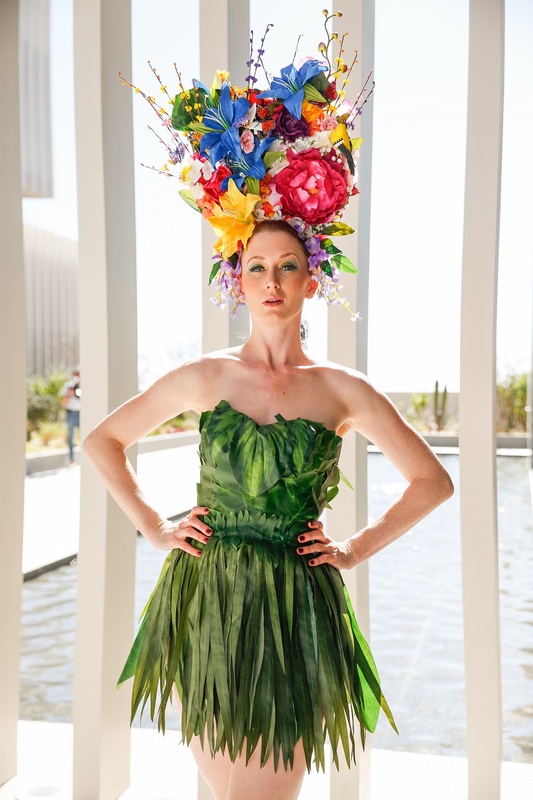 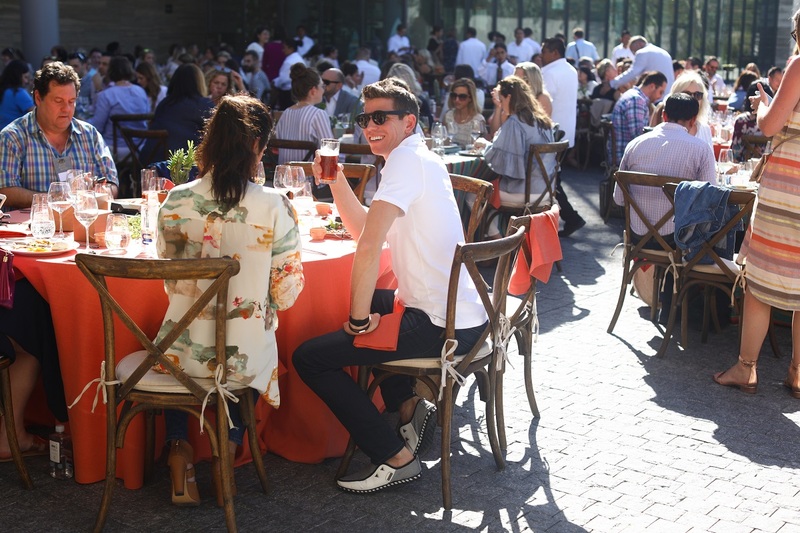 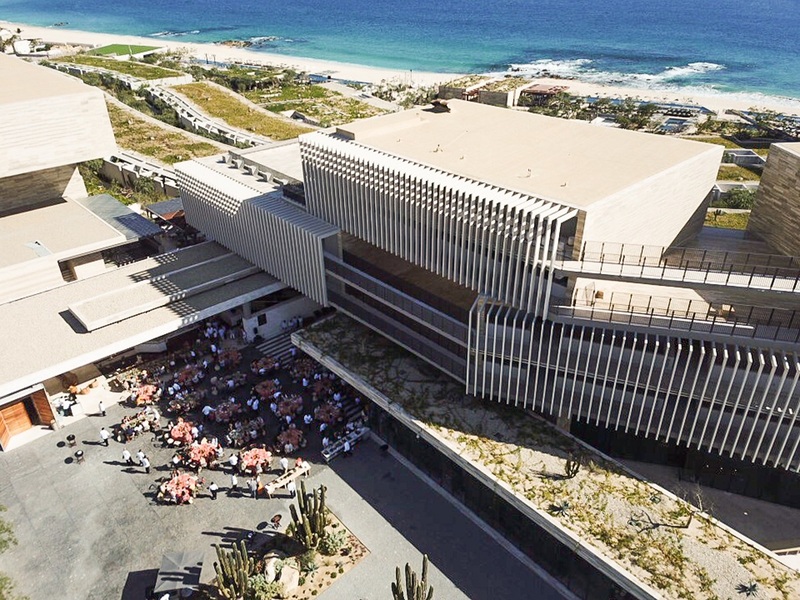 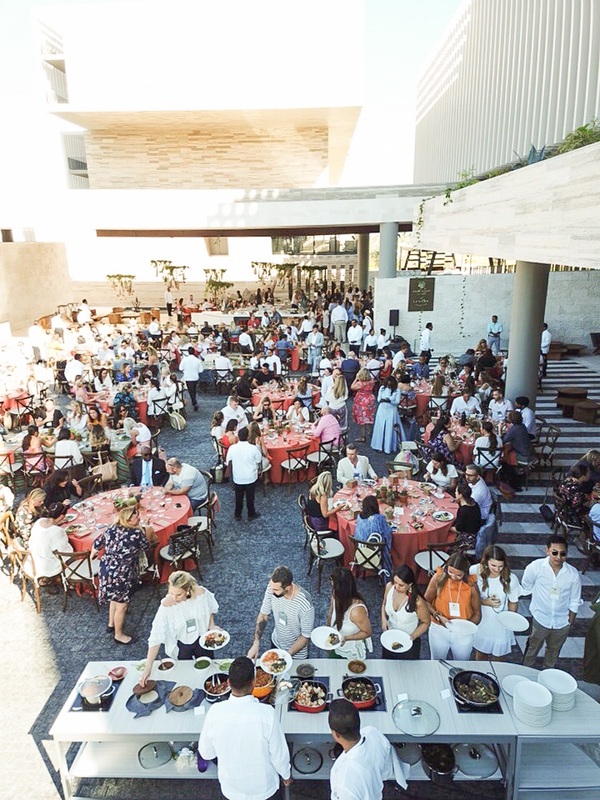 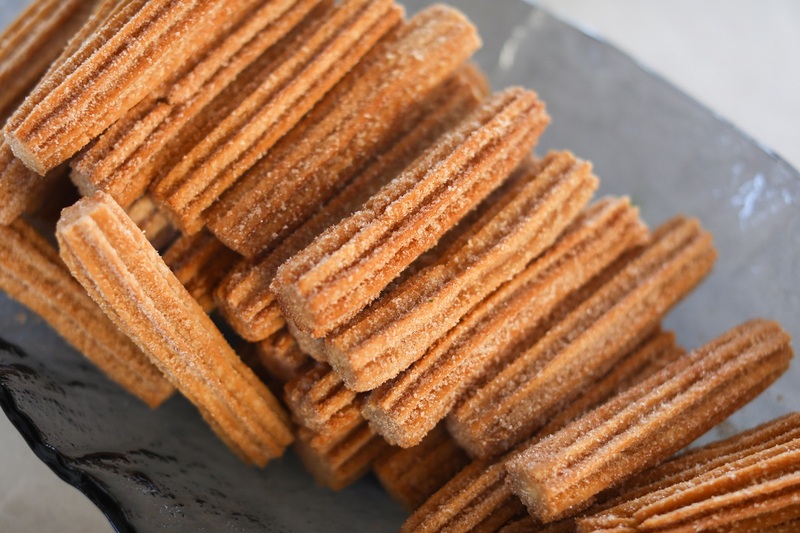 Warmth flooded the outdoor event, and together with the playful entertainment and delicious Mexican food, it was the perfect way to share our Cabo vibe with our friends and colleagues! 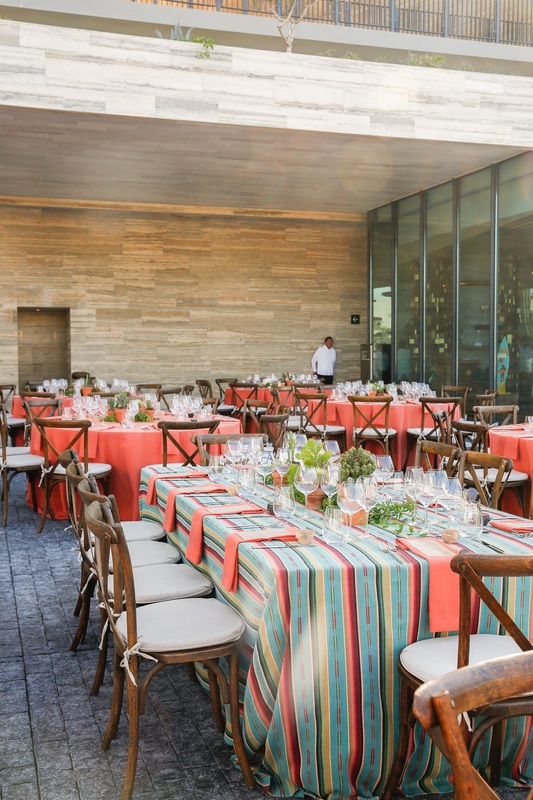 This casual “fiesta” lunch in the lobby offers some earthy inspiration for welcome parties, rehearsal dinners, and after-wedding brunches!